Welcome to Phillips Brothers Country Hams! Currently our website is under construction. Please excuse our mess. We have been curing country ham, bacon, side meat and making fresh sausage since 1947. We are a 3rd generation company dedicated to serving customers like family and producing the best country ham and sausage available. Today, we offer more than just country hams. We offer custom gift boxes filled with local products such as Old Mill of Guilford products, Atkins biscuit mixes, Carolina coffee, jams, jellies and local honey. During the fall and winter we add more seasonal items such as fresh holiday dessert breads and candies. 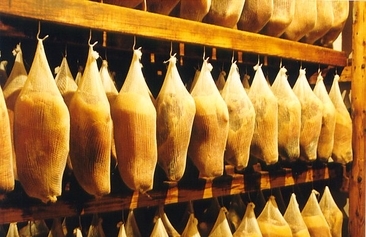 Recently we have started producing dog treats made from our USDA inspected country hams. We have fully dried country ham bones, 100% meat treats, super hocks and pig ears available for your pet treat needs. Please brows our website and visit our Facebook page! We have specials and prizes we give away on our Facebook page sometimes on a weekly basis. Doing it the old fashion way since 1947!